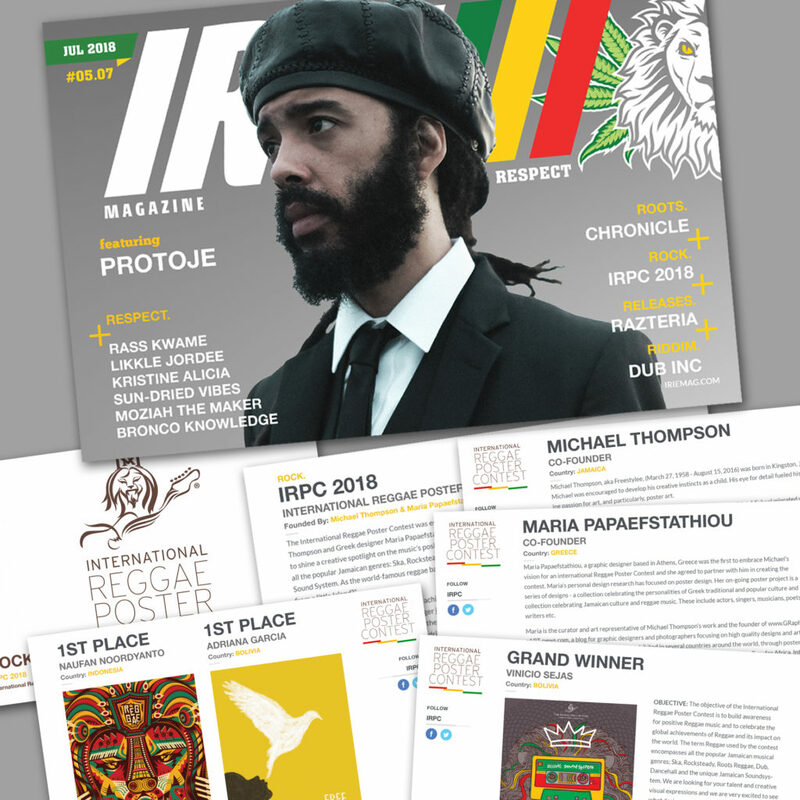 IRIE’s July issue features Honest Music recent album Communion Riddim where the cover design is a collaboration between “It’s Just ME” and “Honest Music” and flashes its spotlight to International Reggae Poster Contest, It’s Just Me – Maria Papaefstathiou and Michael Thompson aka Freestylee – Artist Without Borders. Give thanks and love to my brothers Chris Vrenios and Darryl Burke of Honest Music! 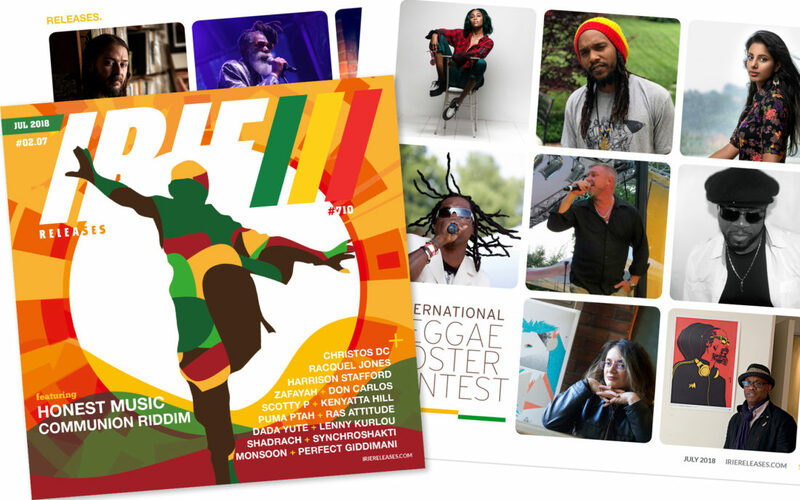 Few days after, IRIE’s WORLD REGGAE, July issue features once more the Intl. Reggae Poster Contest, its founders and this years’ winners.